International Star, Michael Bublé, is set to release a new CD, To Be Loved, on April 23rd (US), April 22nd (Canada) and April 15th (International). 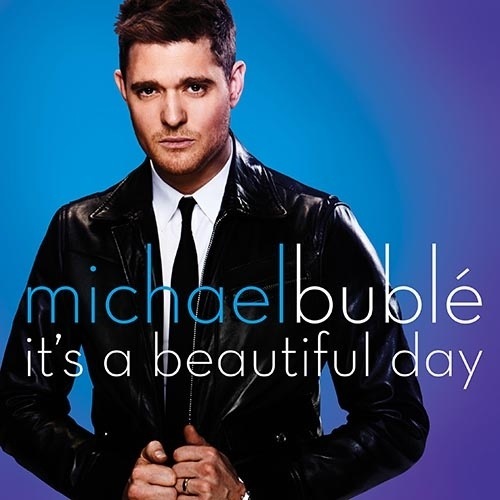 And a new single, “It’s A Beautiful Day” is set to drop on Monday, February 25th. Oh joy! Oh bliss! I am so happy. Michael Buble is one of my favorite performers in the world – he truly creates musical magic on that stage with his signature style and substance. Can’t wait to see the album cover for To Be Loved? Tweet to unlock Michael’s brand new album cover! Driven by the social media power of Michael’s fans, bits of the album cover will be unlocked for every 10K tweets using #BubleAlbumReveal. Click here to begin. Or visit his YouTube channel to receive sneak peeks of his new single, “It’s A Beautiful Day”. It sounds and looks like a great number.